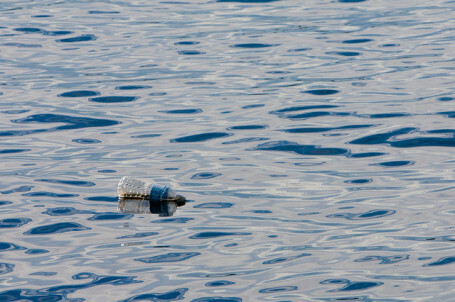 Have you ever given serious thought to the amount of plastic bottles that are thrown away every day? How this affects the environment in which we all live? How drinking water from these plastic containers can be hazardous to your health? It is a known fact that every year in just the United States alone the consumption of water in plastic bottles could wrap around the Earth 190 times. Then add in what is used in all of the other countries and continents and that is a very frightening thought. Are you looking for a safe, less costly alternative to this? There is another option. Every home and office in the South-East Queensland area of Australia should come equipped with the beautifully designed water cooler hire dispensers provided by Brisbane Water Cooler Rentals. Your health and the environment will thank you as you will be doing your part in keeping your part of the universe clean and free of the exorbitant amount of plastic bottles that are thrown away by our populated world. Easy to setup and install, the units provide cold and hot water and feature a safety lock for children’s use. Just think, clear, cool, drinking water at a touch and the best news yet……you do not have to go out and buy the water. That’s right! You use your very own ordinary tap water. These systems are equipped with a revolutionary water purification and dispensing system that can remove any impurities from tap water. There are several diversified models to choose from. They come in countertop and floor standing designs that fit anywhere in your home or office and have filters installed that help remove particles and contaminants in the water along with unwanted waste and odors. Your water will taste clean, cool, and refreshing and you have the option of drinking it at room temperature. These free standing water cooler hire units are professionally made and require no plumbing to install. The water cooler hires are serviced by Brisbane Water Cooler Rentals and start at the low cost of just $10.00 per week. Compare the cost of purchasing bottled water every week, the environmental effect they have on our world, the storage of the bottles both empty and full and you will come to realize that our water cooler for hire’s are the way to go. Low Cost, beautiful design, easy to use……..your water clean, clear, and refreshing right from your own tap. Health: Our bodies need water to survive and once you taste the clean, refreshing water from our water cooler for hire, you will never go back to drinking plastic bottled water. No chemicals or toxins to worry about anymore. Economic: When you use the water cooler for hire you will save money. No more home or office deliveries of large quantities of plastic bottles or huge bottle containers. The savings will be substantial. Environment: Saving the environment from millions of plastic bottles littering our oceans and landfills is a major undertaking, but when you use the water cooler for hire you know that you are helping do your part in protecting our universe. Convenience: The convenience of using the water cooler for hire is immediate gratification. No need to store plastic bottles of water when you can put your favourite drinking water bottle under the tap any time of the day or night. Contact us for more information on how you can hire a water cooler for your business today! We look forward to talking with you!